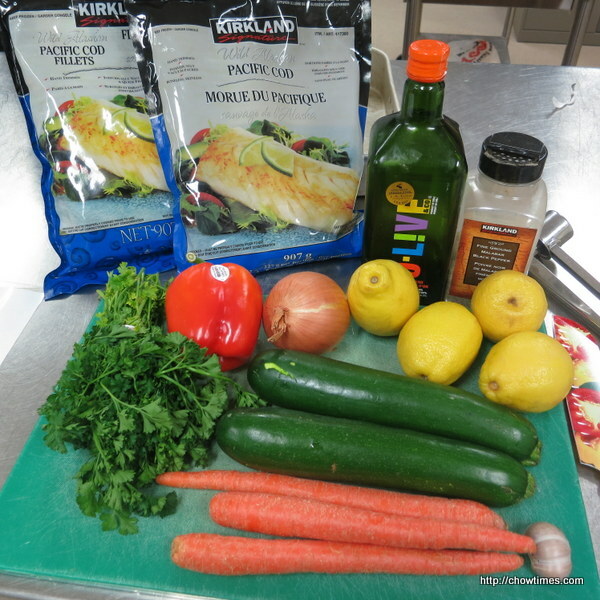 The South Arm Multicultural Community Kitchen made a main dish of fish and veggies. 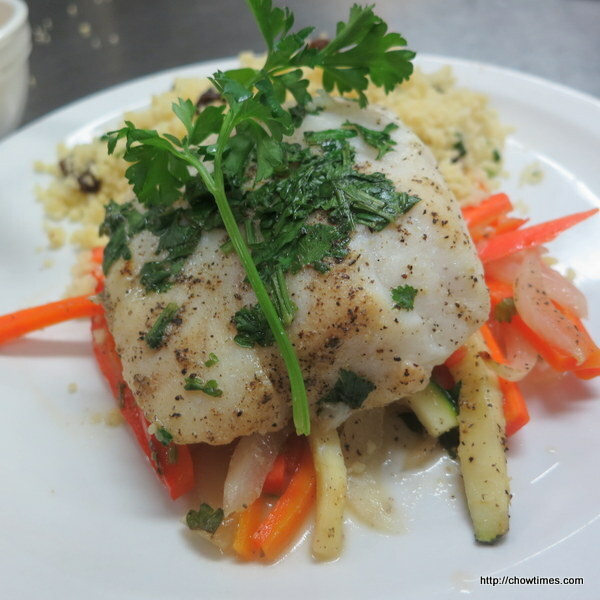 This Fish and Veggies Baked in Parchment Paper is a healthy and nutritious meal in a pouch. 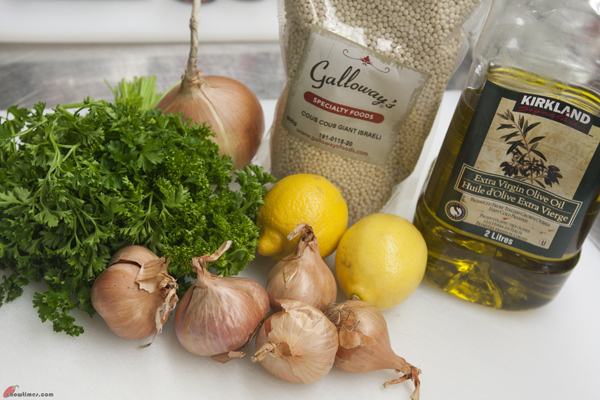 For the next high fiber recipe, Minoo introduced to us Israeli couscous. 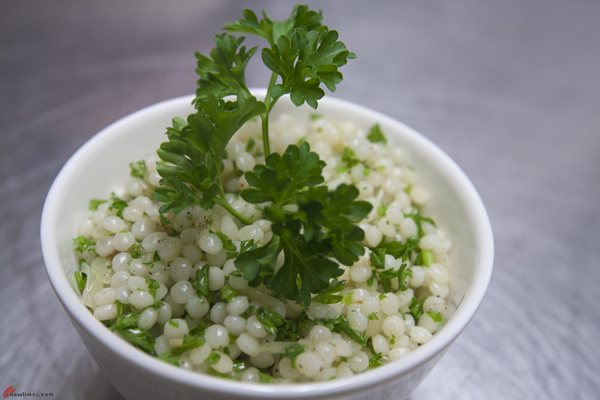 Israeli couscous, also known as ptitim or Jerusalem couscous is a wheat-based baked pasta in the shape of round pearls. 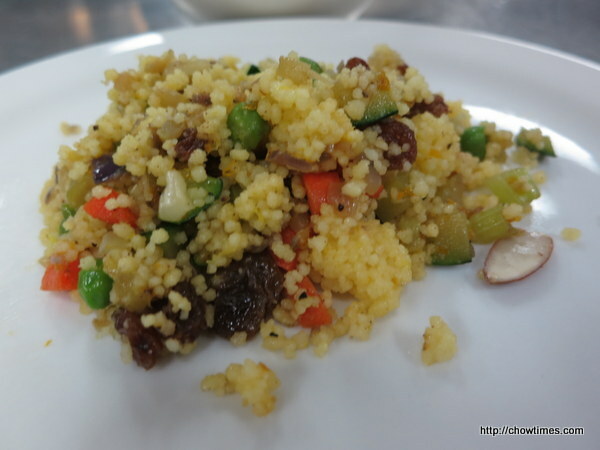 The pearly Israeli couscous is generally considered as a food for children. It is often served as a side dish with a main dish of meat. Minoo served this as a side dish to the Chicken Paprika. 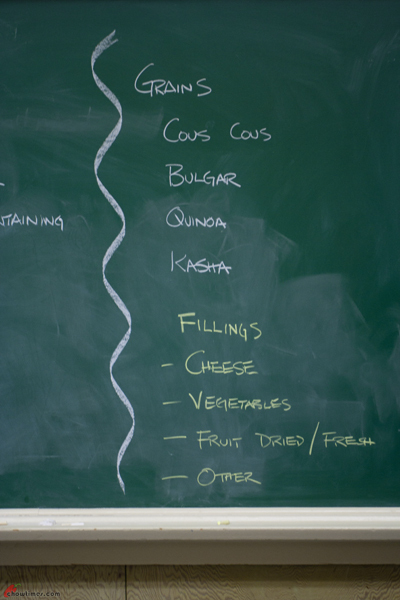 Following the knife skills workshop, Ian proceeded with a grain workshop. 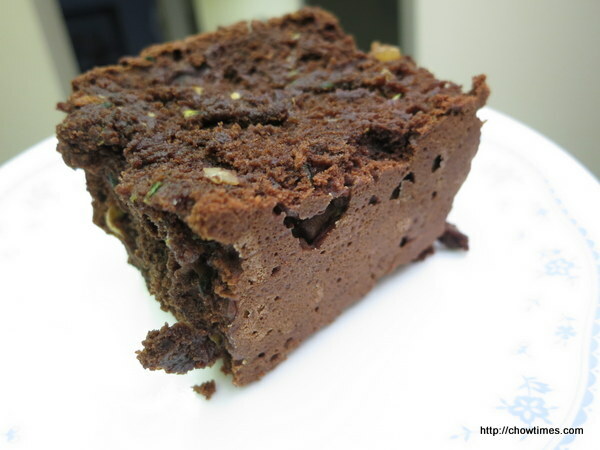 In this workshop, Ian introduced us to four grains, i.e. Couscous, Bulgar, Quinoa and Kasha. Ian showed us how to cook the different grains and we got to taste the texture of all the grains which is lightly dressed with olive oil and salt. Most of the grains can be cooked like pasta but the nutrients will be lost in the water. 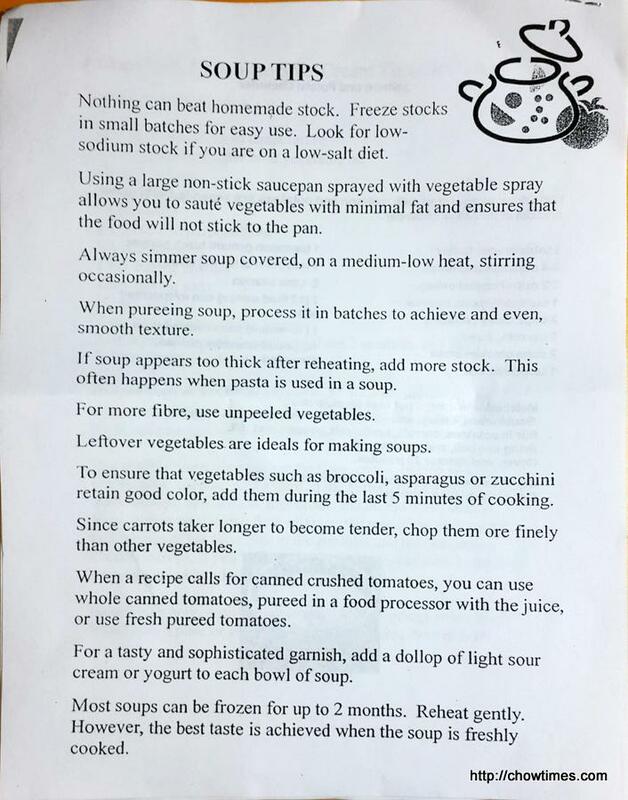 So, if you cook it the pasta way, save the water to make stocks. 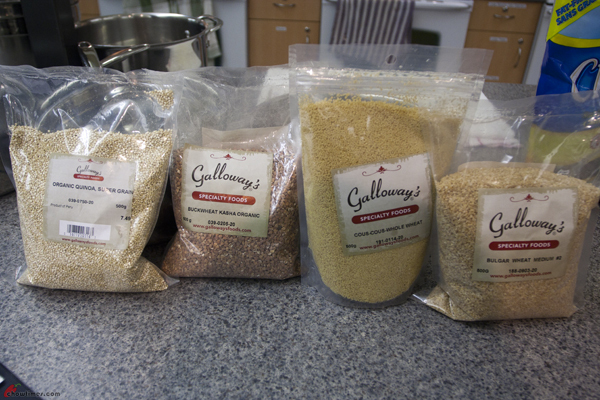 A good place to buy such grains is Galloway’s Specialty Foods. 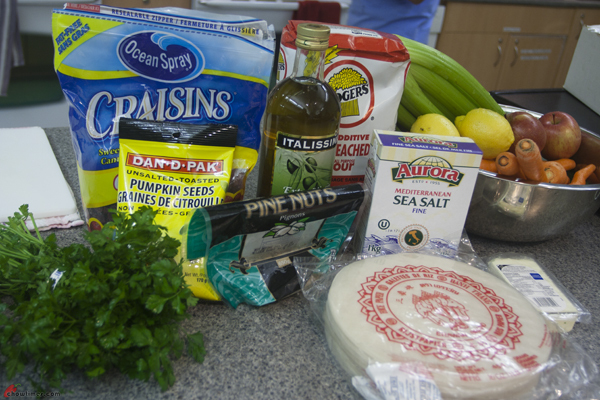 The grains are used along with some fresh vegetables, herbs, seeds and dried fruits to create a healthy multigrain salad. 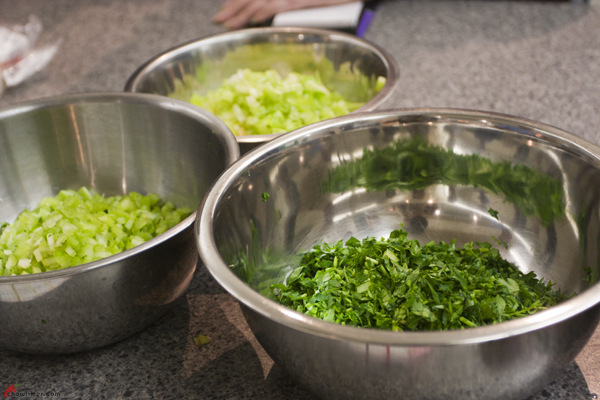 The above are some of the vegetables and herbs that were prepared from the knife skills workshop. 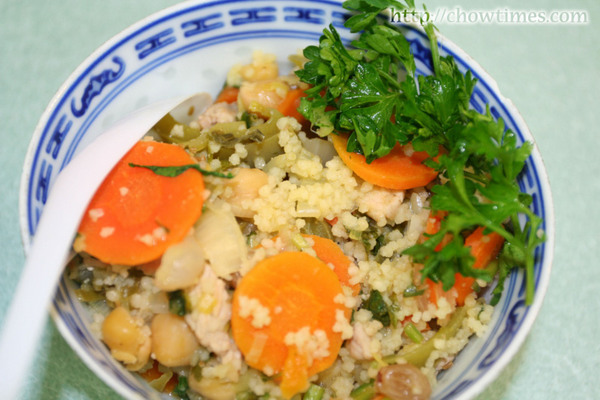 Couscous is a traditional staple of North Africa. It is also popular in parts of the Middle East. Jorge made a Turkish Couscous to complement the Pan Roasted Cilantro-Mint Marinated Chicken Thighs. 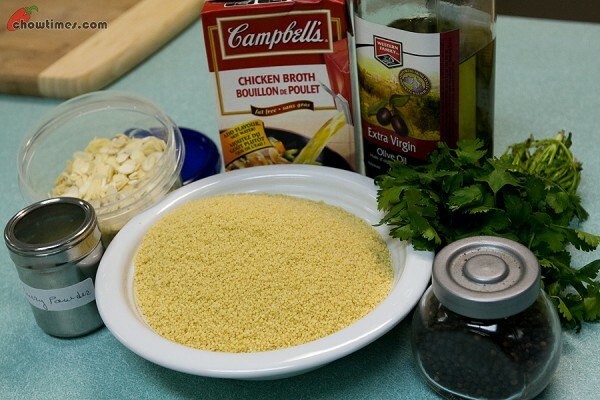 Couscous is a grain dish made by rolling and shaping moistened semolina wheat and coating them with finely ground wheat flour. This is a great substitute for rice. It cooks very quickly. The South Arm Community Kitchen meets again with the leadership of Minoo. We enjoyed meeting one another after a long summer break. We shared our summer stories while preparing and enjoying the food. 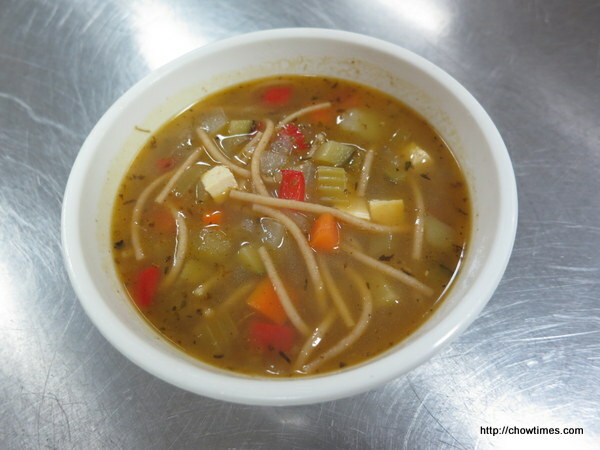 Minoo prepared three recipes for the first meeting. 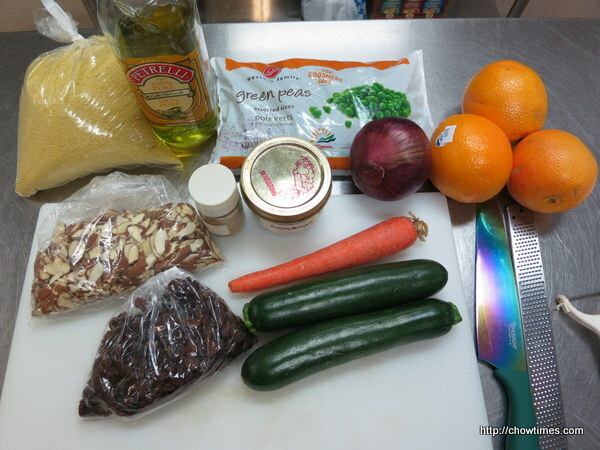 The first recipe is a Quick Curried Couscous. 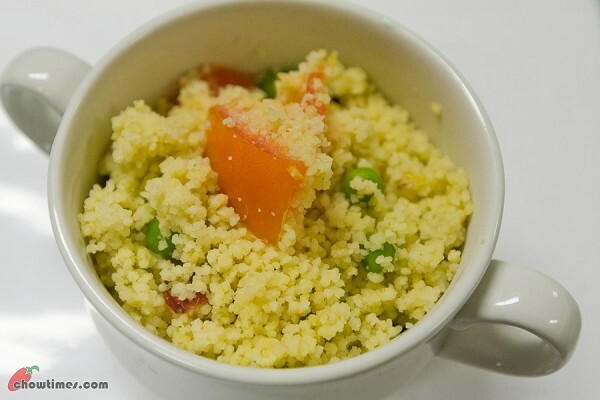 Couscous is a staple food of North Africa like Morocco, Algeria, Tunisia and Western Libya. 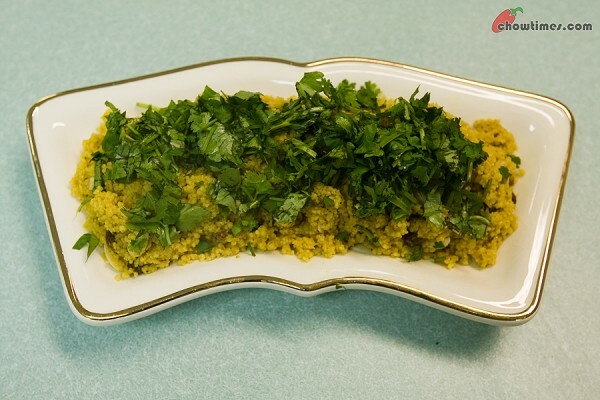 This Quick Curried Couscous is easy and quick to prepare. The couscous we found in Western supermarkets is the instant type, i.e. 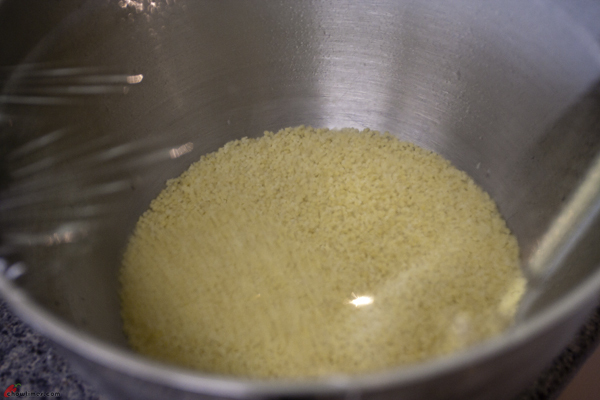 the couscous have been pre-steamed and dried and only needs a small amount of boiling water or stock to rehydrate the couscous, covered tightly for 10 minutes. The couscous will swells and ready to be fluffed and served. 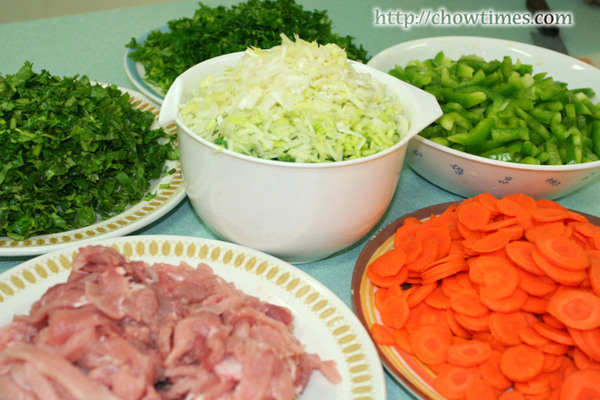 It’s preparation time is shorter than dried pasta or dried grain like rice. 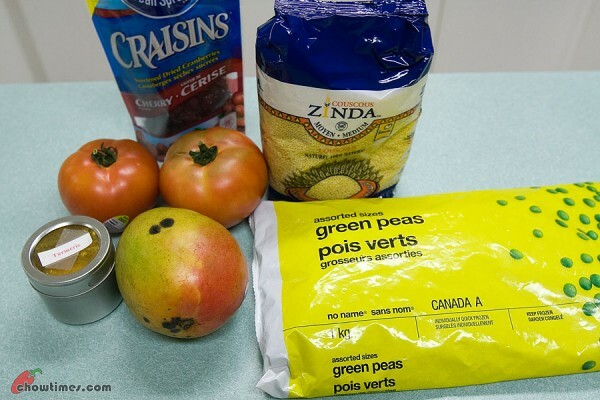 Andrea made this Middle Eastern Pork, Chickpea and Couscous Casserole as her second dish in the South Arm Community Kitchen. This is a one-pot party dish which features easy-to-use couscous and nutrient-packed chickpeas. This dish is highlighted by the rich flavours of cumin, coriander and zesty orange.